The U.S. government is cracking down on scammers that lure people -- particularly elderly people -- into spending hundreds of dollars on virus protection software they don't need. 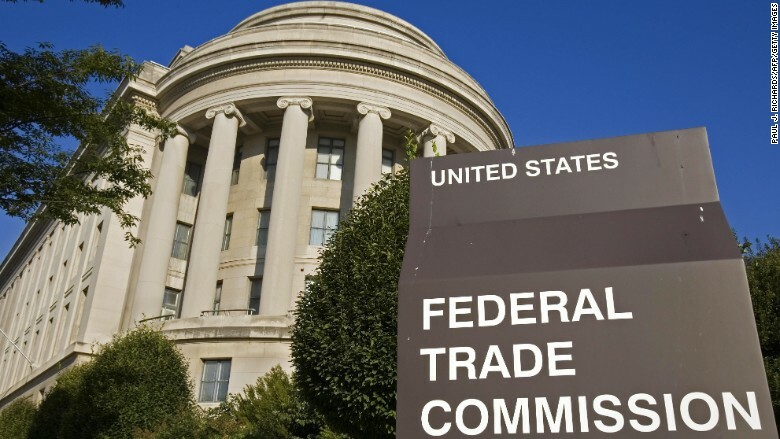 The Federal Trade Commission said Friday that it's bringing 16 new enforcement actions, including complaints, settlements, indictments, and guilty pleas, against tech fraudsters. But Florida Attorney General Pam Bondi -- who is working with the FTC on the issue -- warned there are still more scammers out there, and regulators need the public's help to catch them. "The only way we're going to stop this is if you report it," Bondi said. She asked that people immediately notify the FTC if they see pop-up ads that warn people their computers are infected with a virus or malware and solicit them to buy virus protection software. The ads are often designed to resemble legitimate security alerts. They often prompt the user to call a phone number to get help. Anyone who calls gets a slick-talking telemarketer who works to convince them that they need to spend hundreds of dollars on new protective software, even though their computers may have never been infected in the first place. After a victim grants computer access to the scammers to install protective software, the scammers can put spyware on the victim's computers, which can expose everything from family photos to financial information, the FTC says. The commission has received more than 96,000 complaints from people who have been swindled out of a combined total of more than $24.6 million, according to FTC Acting Director Tom Pahl. Elderly people and tech newbies are particularly vulnerable. At Friday's press conference, Pahl played a recording of a 90-year-old man on the phone with an alleged scammer. "I'm new to the computer," the elderly man says. Then, a salesman tells the man "you have a [computer] infection" and pressures him into agreeing to pay for "repairs." "You're 90 years old, you have intelligence," the salesman says. "This is not hard stuff." The salesman also identifies himself as a certified Microsoft repairman, a common tactic used by these types of scammers, according to the FTC. Pahl said the FTC has worked with Apple (AAPL) and Microsoft (MSFT) to bring charges against these fraudsters. And he advised people who suspect their computer has a virus to contact Apple or Microsoft support centers directly. 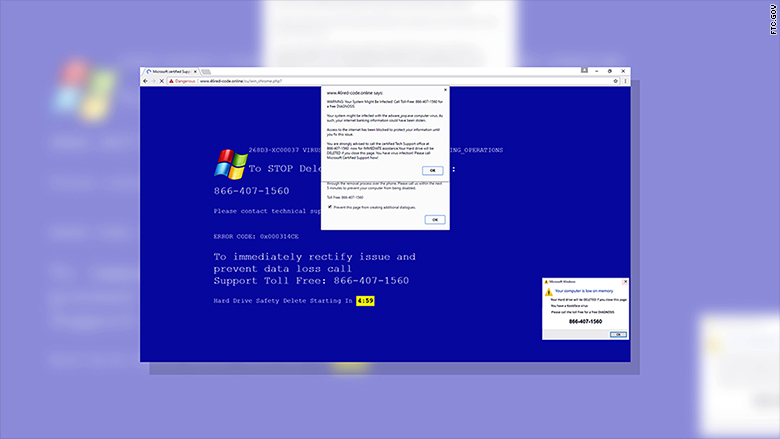 "If you get a pop-up, call, spam email or any other urgent message about a virus on your computer, stop. Don't download anything, don't call the number on the pop-up and don't give anyone control of your computer," the FTC said in a blog post Friday.